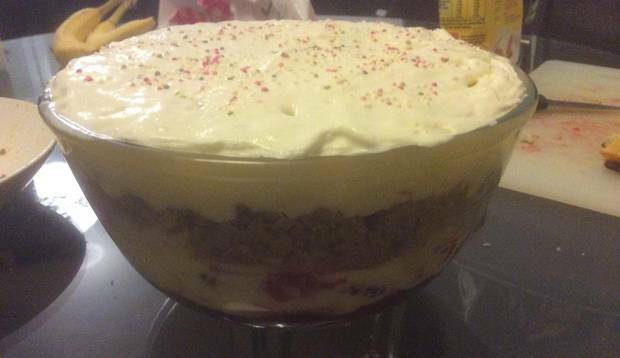 Okay, who remembers Rachel’s English trifle from “Friends”? Well, someone in the U.K. has made it – with beef sautéed with peas and onions. And the sight of this might be one of the highlights of my day. If you missed seeing that winning episode the first go round, here is a snippet!